Dr. Krebs and Dr. Donahue are providing trigger point dry needling (TDN) in Chicago at Chicago Spine and Sports. TDN is the use of solid filament needles inserted through the skin and into the muscle to release painful myofascial trigger points. Dry needling results in the deepest tissue release allowing for improvements in movement and pain. TDN is an effective therapy to treat muscular tension and spasm which commonly accompanies conditions such as arthritis, nerve irritation, muscular strain, ligament strains and herniated discs. It is called “Dry” Needling because there is no solution injected as with a hypodermic needle during a flu shot. 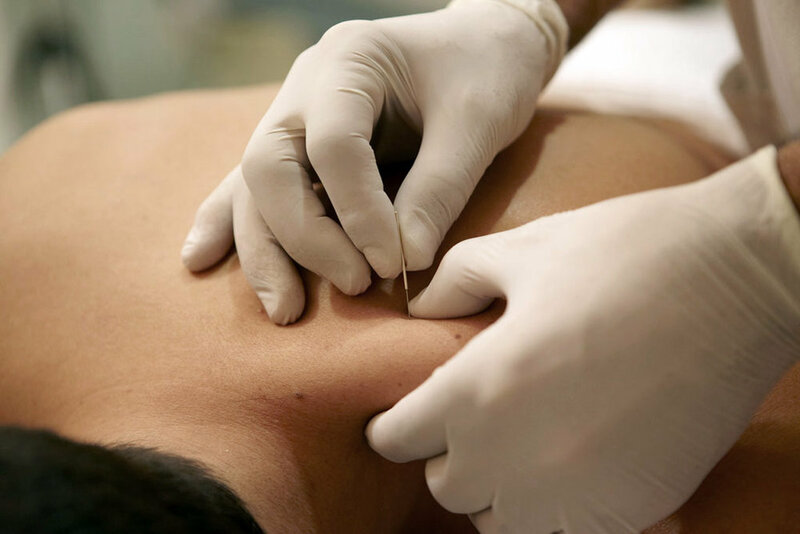 With Dry Needling, the needle itself and the effects it produces within the tissue is the treatment. Dry Needling may mechanically disrupt a dysfunctional motor end plate.